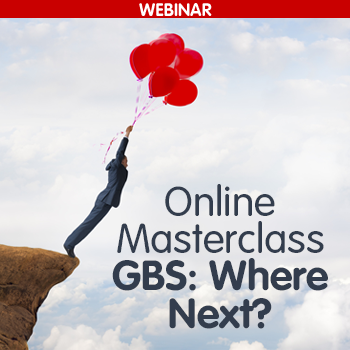 Online MasterClass: Global Business Services; Where Next? Online Masterclass: Global Business Services & Digital Transformation: Where Next? Digital Transformation is the strategy discussion in every boardroom. However, whilst technology is a critical enabler, the focus of the most successful ‘digital’ businesses is the new consumer, the business model that creates intimacy and convenience, and the processes that drive that model. It is easy to assume that this is all about sales and marketing, but the new thinking requires as much focus on the “back office” functions as on the consumer interaction. In fact, the term “One Office” has been applied to this thinking. Global Business Services are at the forefront of driving change here, and World Class GBS organizations outperform their peers significantly. Figures from The Hackett Group indicate that nearly half of GBS organizations are currently piloting SaaS, RPA, advanced analytics, data visualization and cognitive AI technologies targeted to a ‘Global Process’ focused approach. We dug into some of The Hackett Group GBS research with Jim O’Connor, Global Finance and GBS Advisory Practice Leader, challenging our thinking on Digital Transformation, Global Process Ownership, Intelligent Automation and the role of Data. We heard some new insights and benchmarks and took a look at “Where Next” for GBS and the Digitally Transformed business.